Universal's ad featuring Minions singing Jingle Bells is the most-shared Christmas ad ever, while John Lewis dominates the rest of the list. 1. 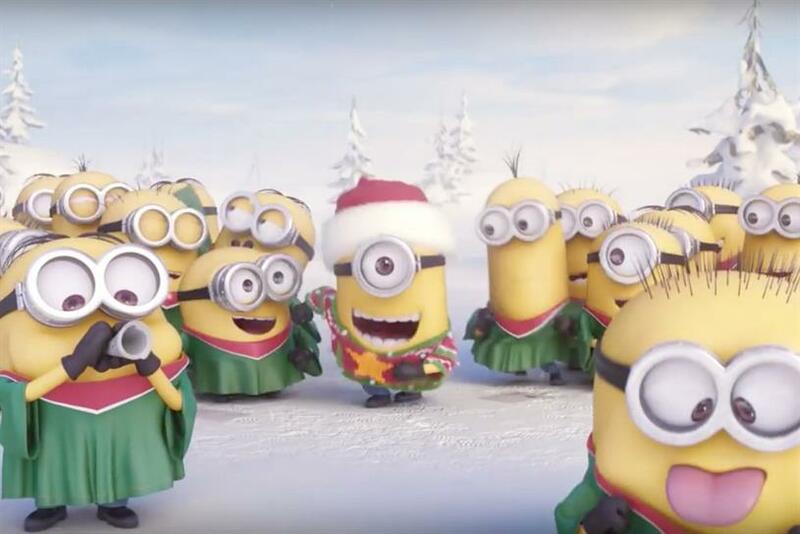 Universal "Minions go caroling"
The ad, which was released in November last year, shows the Minions singing a Christmas carol in the snow. It has been shared almost four million times. The touching 2013 ad from Adam & Eve/DDB saw a bear experience Christmas for the first time. It has been shared 1.2 million times. Last year’s Christmas ad for the retailer followed the relationship between a boy and his penguin. It has been shared one million times. Also one from last year, the retailer recreated the football game between the English and German soldiers on no-man’s land on Christmas day in 1914. It has been shared 771,372 times. The ad, which was released in 2011, follows the story of a young boy waiting all month for Christmas day so that he can give his parents a gift. It has been shared 519,138 times. This emotional ad from 2012 told a love story of a snowman. It has been shared 446,915 times. The ad starred Romeo Beckham, the son of David and Victoria Beckham, bringing a couple together with gifts from the luxury retailer. The ad, which launched last year, has been shared 190,835 times. The retailer’s Christmas ad last year showed fairies adding some Christmas sparkle to people’s lives. It has been shared 157,292 times. The 2013 animated ad shows a man and a panther delivering jewellery to homes across Paris. The has been shared 120,746 times. The ad from 2013 shows a pony dancing in some fields. It has been shared 113,313 times.